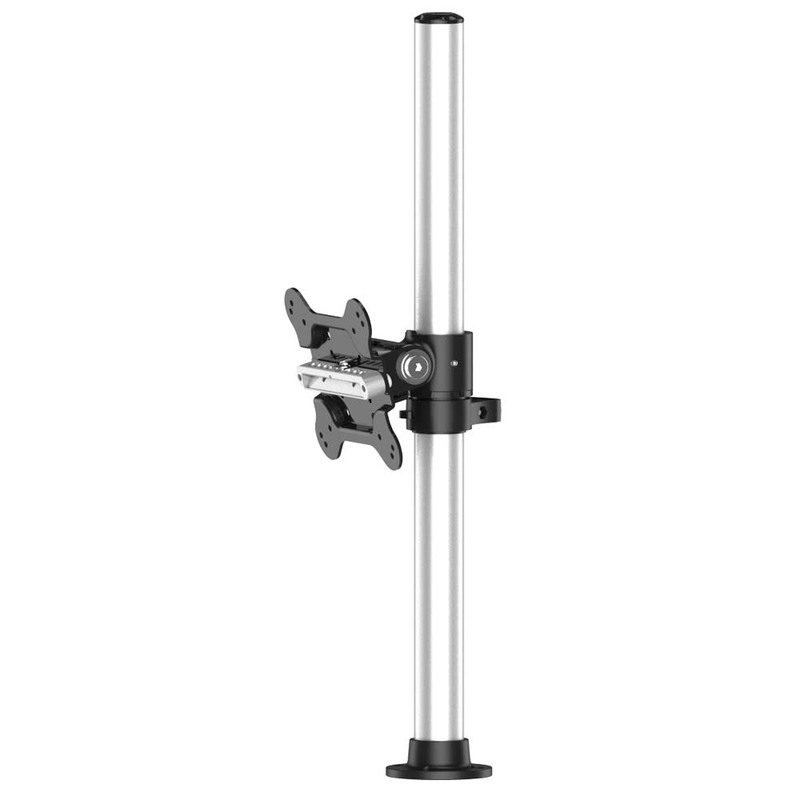 The Aluminum Extrusion VESA Mount for Apple w/ Quick Release is a stylish console mount that is perfect for your Apple displays. 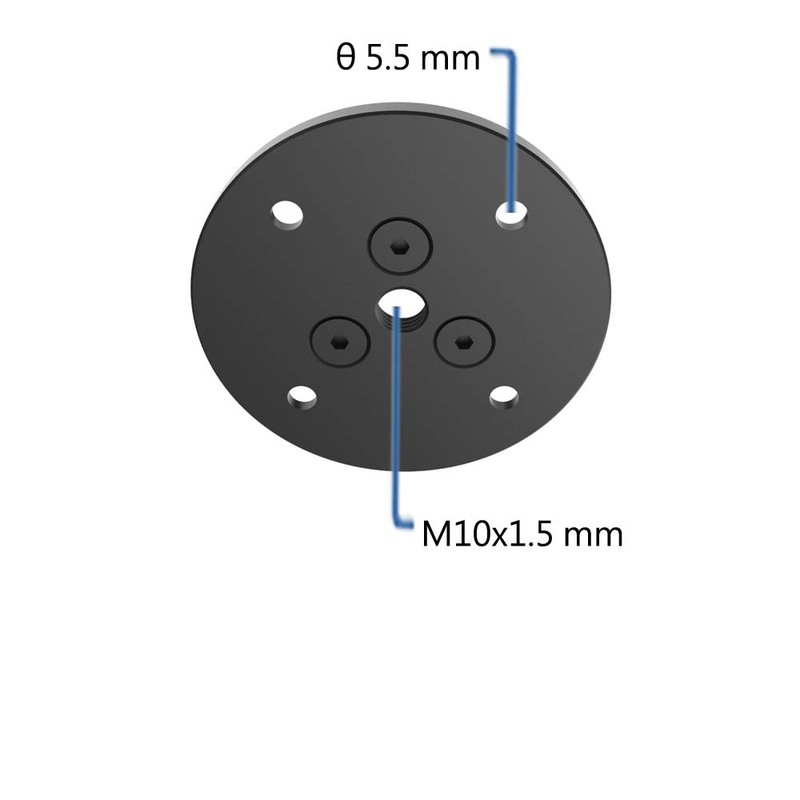 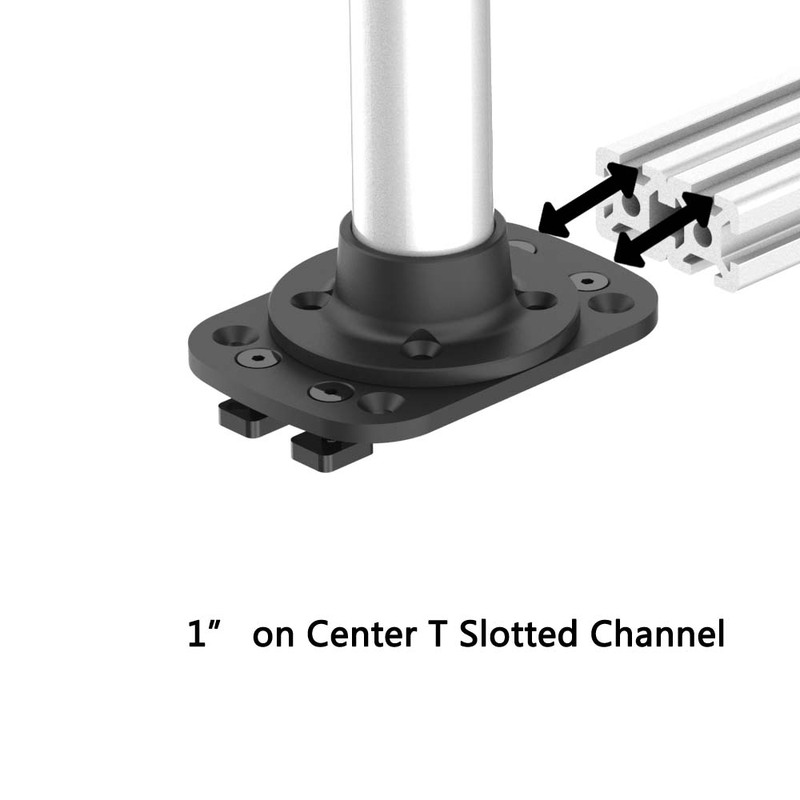 With a 360° swivel function and a weight capacity of 44lbs (20kg), this T-slot mount is ideal for control rooms, workstations, industrial environments and many other applications. 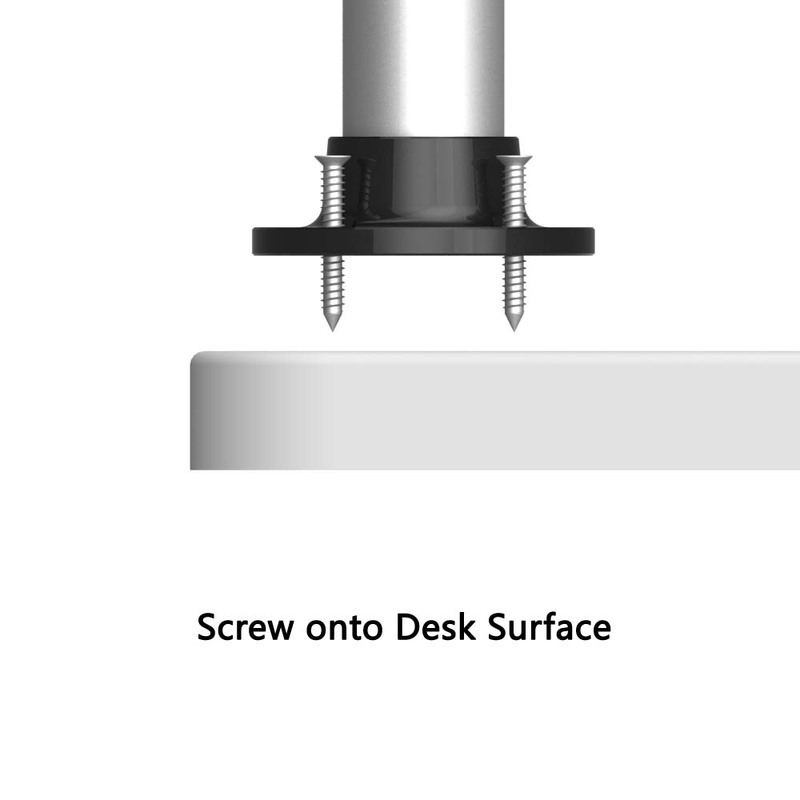 It keeps your operators productive, healthy and as a result happier. 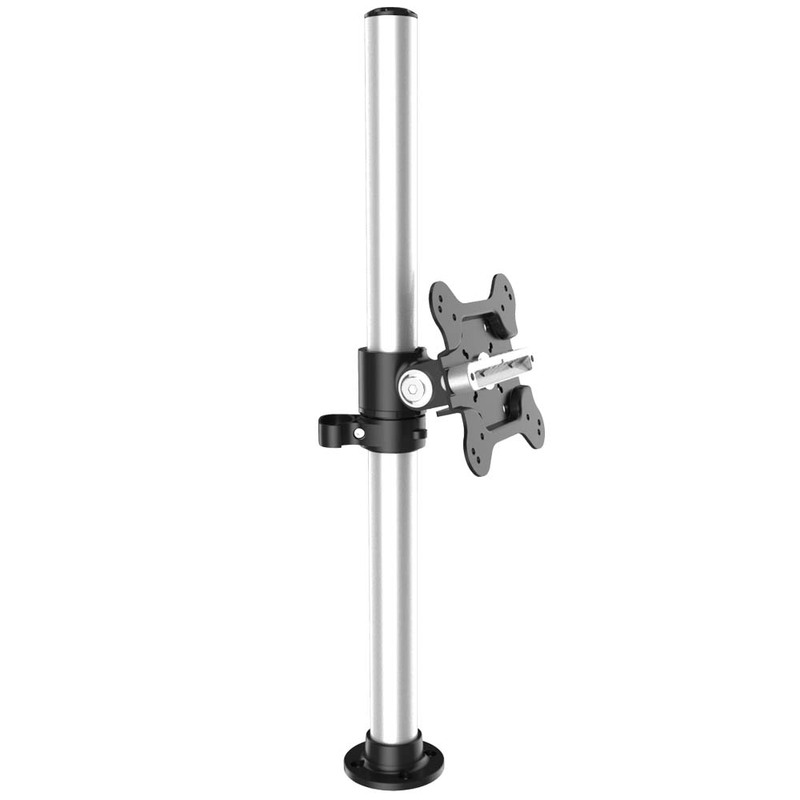 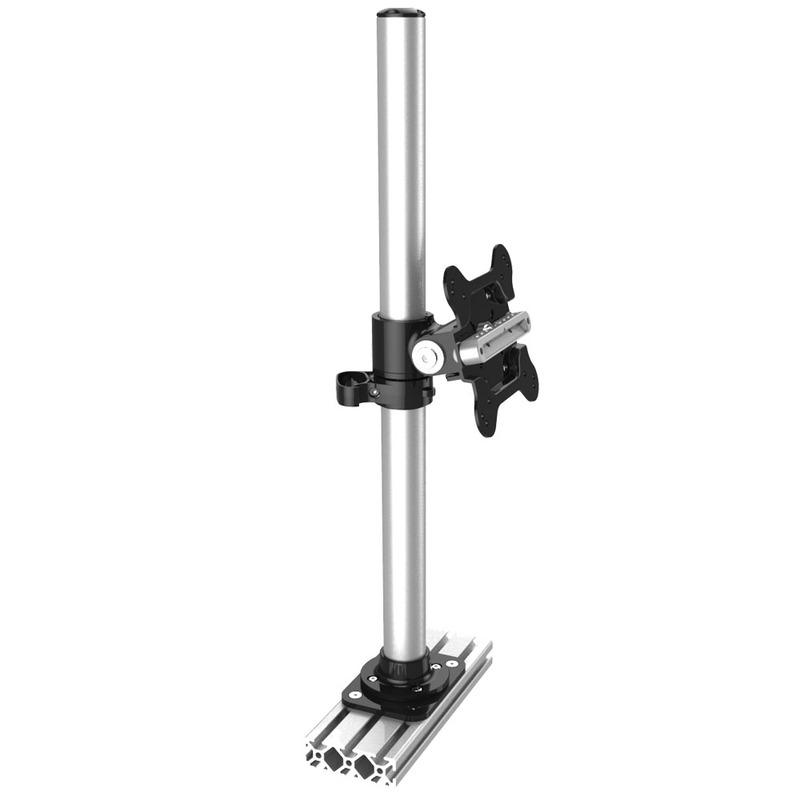 This mount has +90° / -25° tilt actions to ensure perfect viewing at any angle. 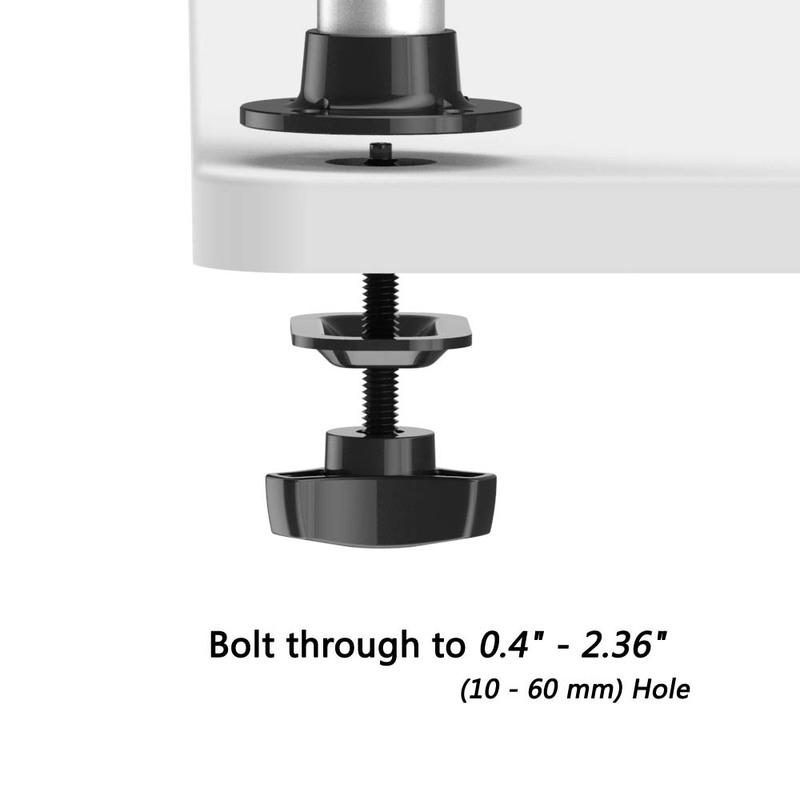 The convenient display mount features robust cable management; ensuring a neat and tidy desk space with no visible cables. 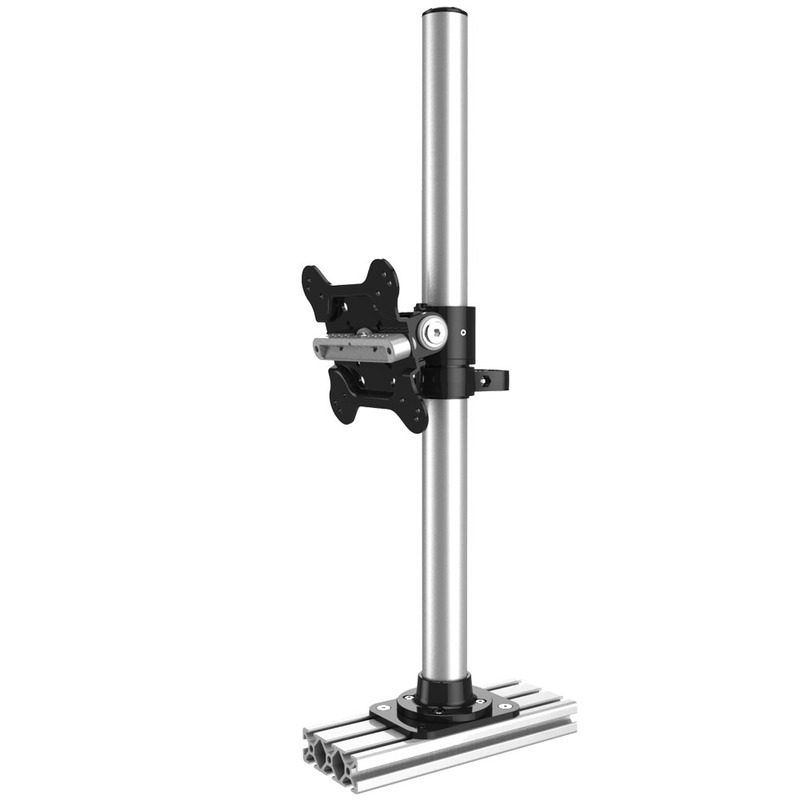 This convenient and stylish LCD extrusion track mount offers perfect flexibility and is maneuverable to suit any viewing angle. 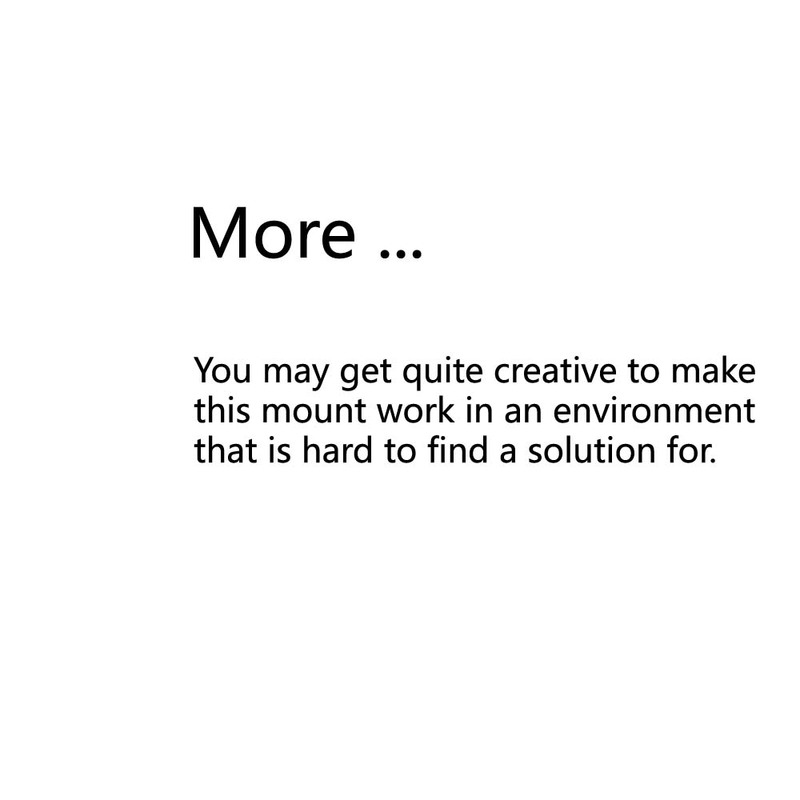 It has a modern design; which fits in perfectly with monitor's stylish looks. 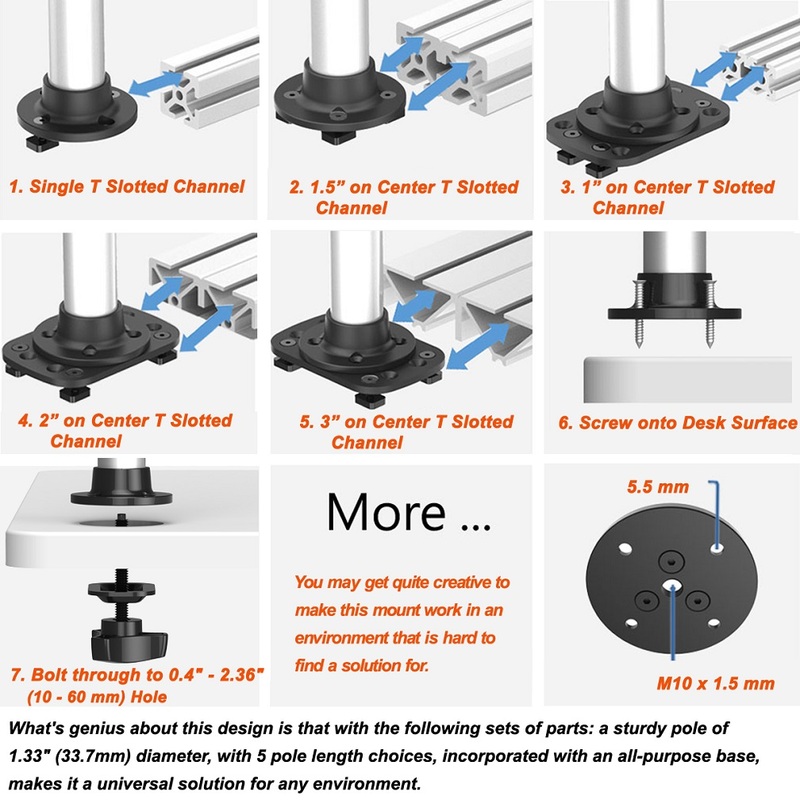 The 7-in-1 mount has been designed with the latest engineering technologies in mind; to ensure durability and strength. 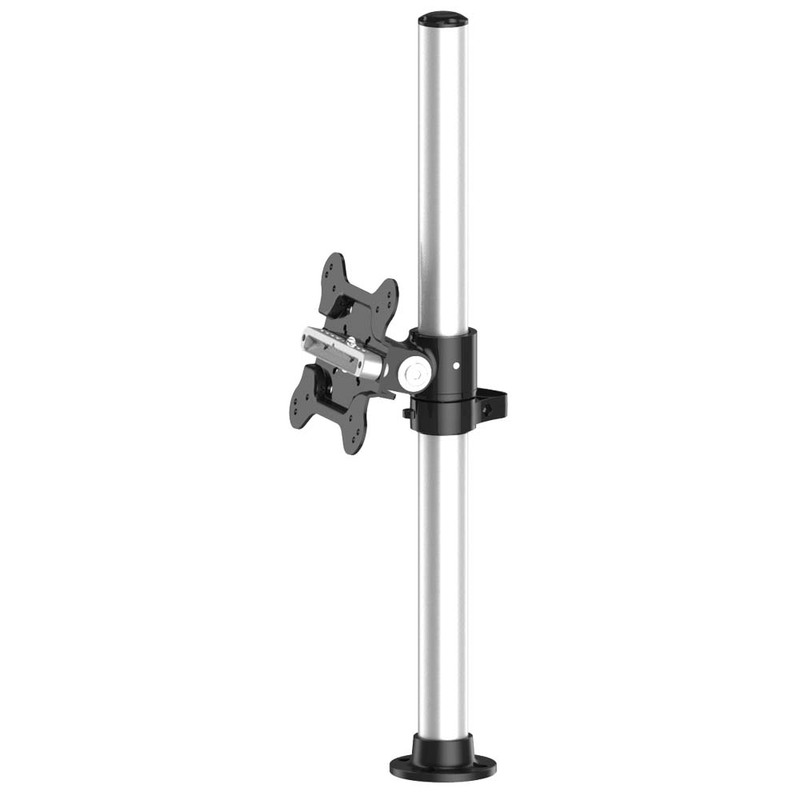 These quality mounts are manufactured in our offshore manufacturing plant; adhering to strict quality guidelines that enable us to deliver value to our customers. 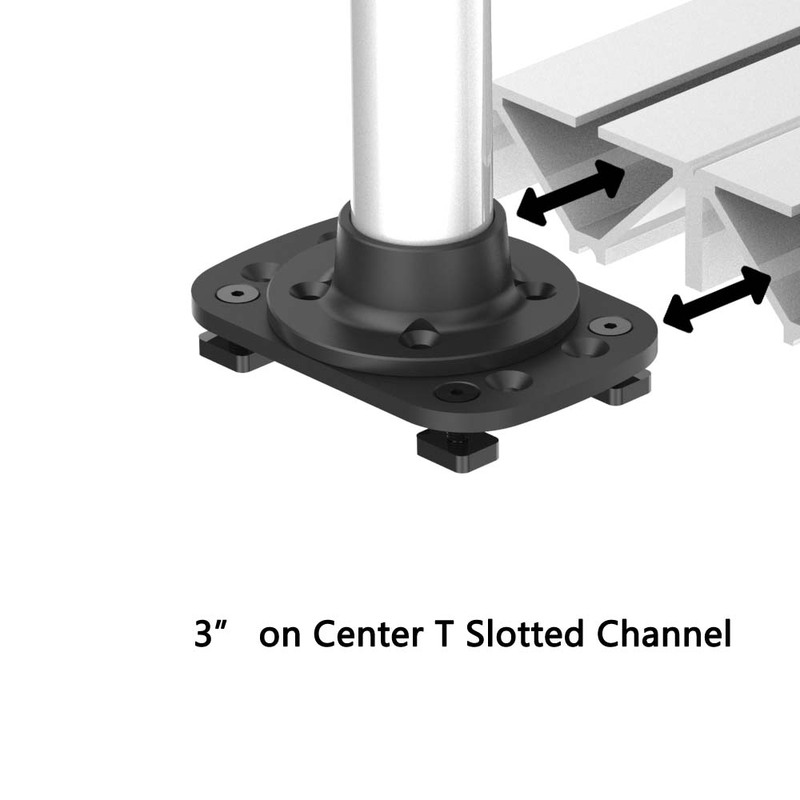 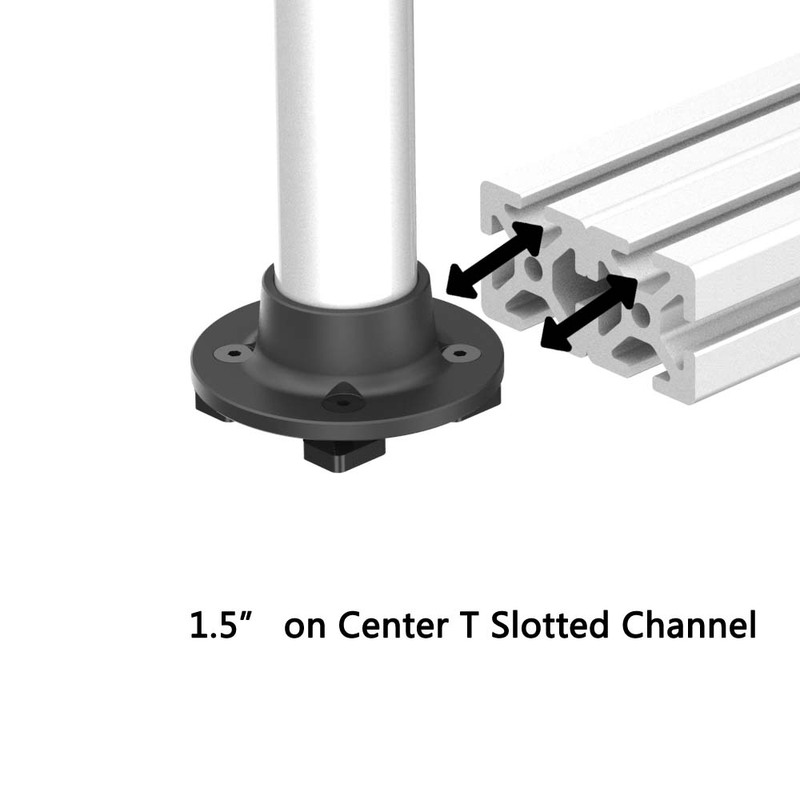 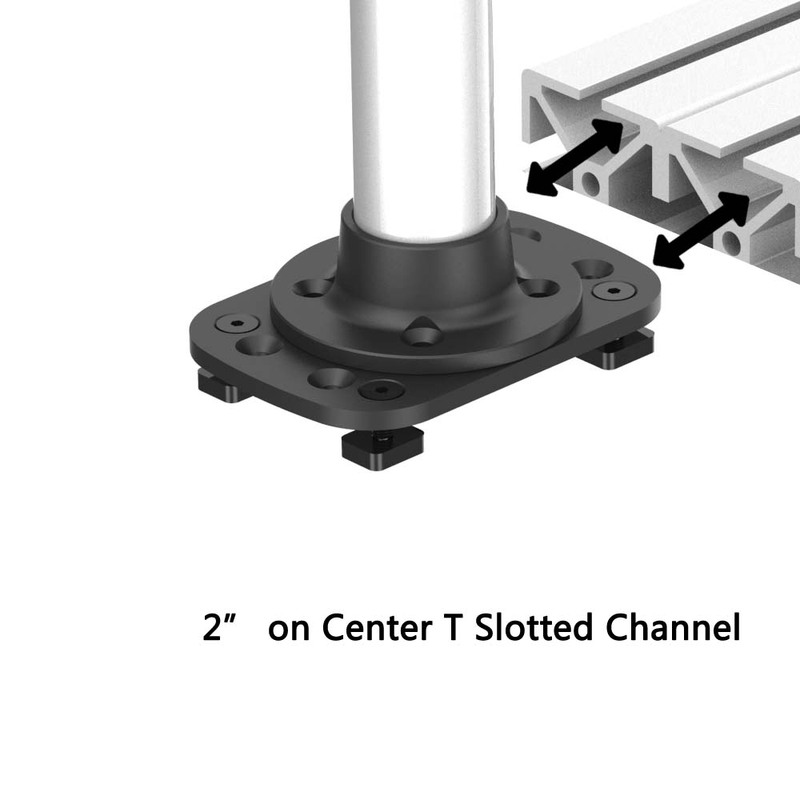 This handy consolt T-slot mount has been manufactured with the end-user in mind; and ensures easy installation features while simultaneously offering intuitive, practical and functional designs. 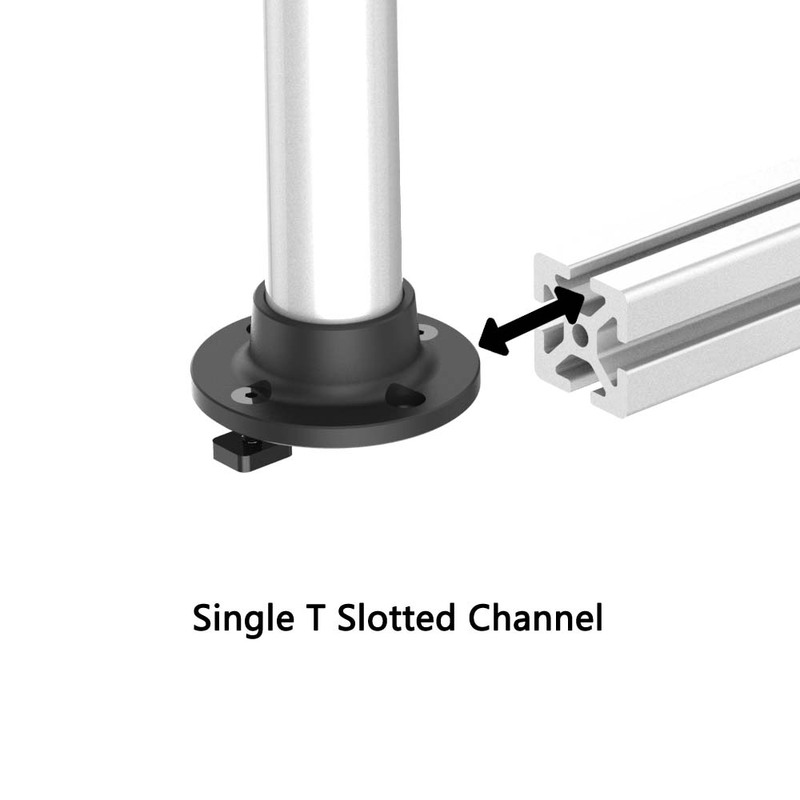 Please note that the T-slot extrusion track in the picture is for demonstration only and is not included.